We have covered so many aspects of beekeeping. From learning about bees, setting up your beehives and to keeping it healthy, the focal point has been the bees. If, as beekeepers, we understand bees then we have a good shot at helping them survive and thrive. The rewards to us are immense, especially on a global scale where pollinators directly impact our way of life. We experience the joy of beekeeping in many ways. But there are also some very tangible rewards to be had. While PerfectBee places these relatively low down the list of priorities, there’s no shame in enjoying them as a celebration of all your bees do for you, providing their safety and strength remains of the highest priority. Let’s say you are in your second year of beekeeping or later. Your bees have survived at least one winter, you have an ever-improving understanding of how you can help and support them and you love the idea of continuing to learn. With these assumptions, what might there be for you to take from the hive – or more broadly, your beekeeping? The most obvious and emblematic reward, of course, is lashings of beautiful honey! Bees have an amazing capacity to create honey in great volume. It’s worth bearing in mind that they do so entirely for their own benefit. As an almost magical substance, honey is an essential component of their survival through the winter. With our beehives and the expandable nature of the boxes and frames we use, there is indeed the potential for a few jars of honey. In fact, a productive, healthy colony can generate a tremendous amount of honey for the beekeeper. We will look at the process and mechanics of harvesting honey in in later Academy lessons. Second in line, in terms of the layman’s view of what can come from a beehive, is beeswax. Like honey, beeswax has some amazing properties. As we will see, it has a huge range of applications from the obvious use in candles to as an important component in food processing and much more. 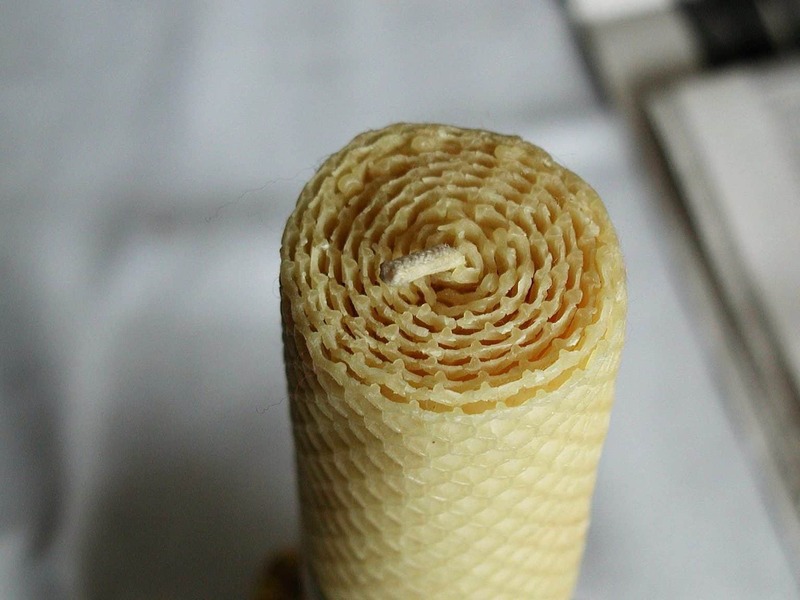 The new beekeeper is always struck by the sheer beauty of beeswax in the glorious comb created by our bees. Indeed, after the excitement and adrenaline of setting up a beehive, the first sight of honeycomb made entirely by your bees is one you will never forget. The beekeeper has many options for how to process and use beeswax and we will be looking at those too. In recent years, a large number of claims have been made about the medical and nutritional value of pollen for humans. The jury is still out on the full extent of these benefits and the FDA does not allow the promotion of medical benefits in products. Additionally, allergies are a concern for some. Like, it seems, everything that comes from a beehive, propolis is a fascinating substance. The more one understands its uses and benefits, the more one appreciates its value to bees. There is a large and vocal community that places great value on propolis. It is considered by many to have a positive effect on our immune system. Making decent money with beekeeping is tough! There are many commercial beekeepers around the country and they do a fine job of producing bees and selling honey, beeswax and more. But it’s a tough way to earn a living and anyone who can carve out that lifestyle and make ends meet deserves our full respect. However, earning a few extra dollars from your beehives is quite feasible. The most obvious and straightforward example is the selling of honey. Most people adore honey and there’s a growing interest in high-quality, locally produced honey. There is generally a premium to be paid for local honey, in comparison to supermarket prices. Some people believe that the tiny particles of local pollen in local honey help with allergies. By the way, we do find that the “local honey” label is used creatively. While shopping recently we noticed a jar of honey expressively marketed as “locally produced”. It was from Colorado, which happened to be over a thousand miles away. We guess all honey is “local” – somewhere!